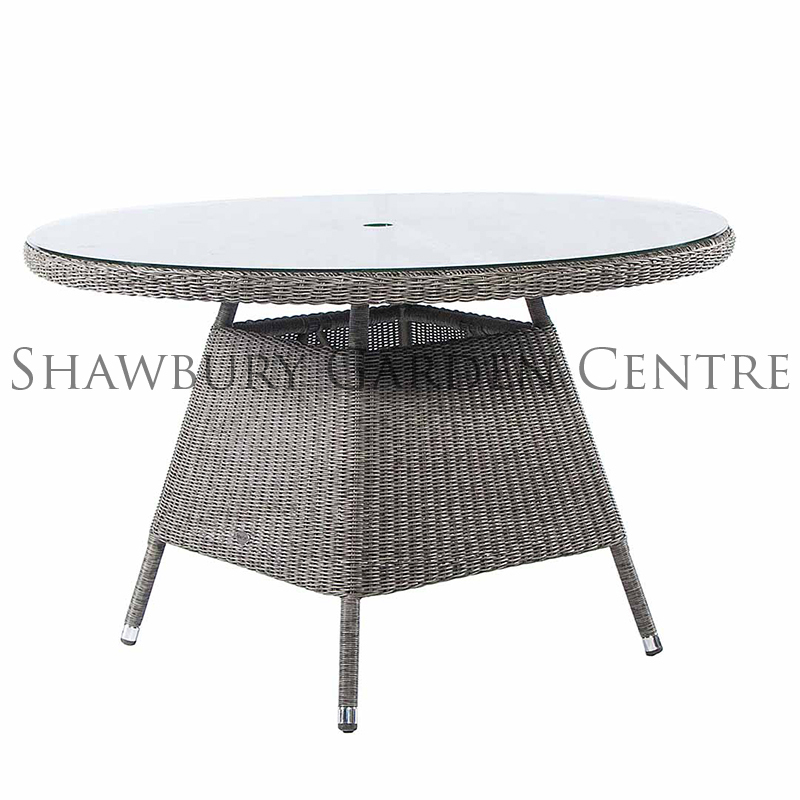 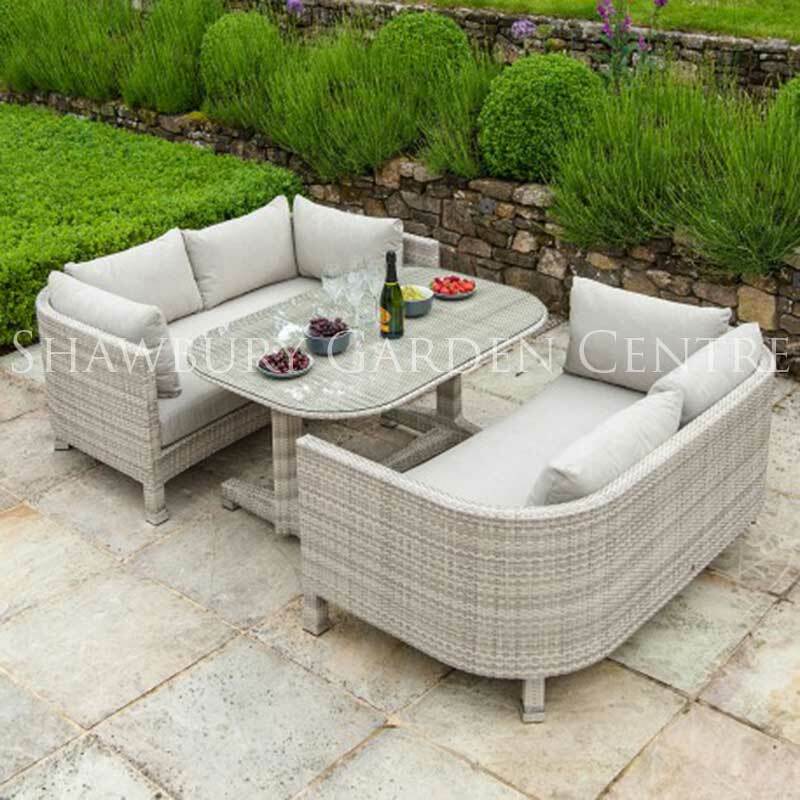 Rattan-effect modular Garden Sofa Set including 2 sofas, 2 stools, glass topped dining table and full set of co-ordinating cushions. 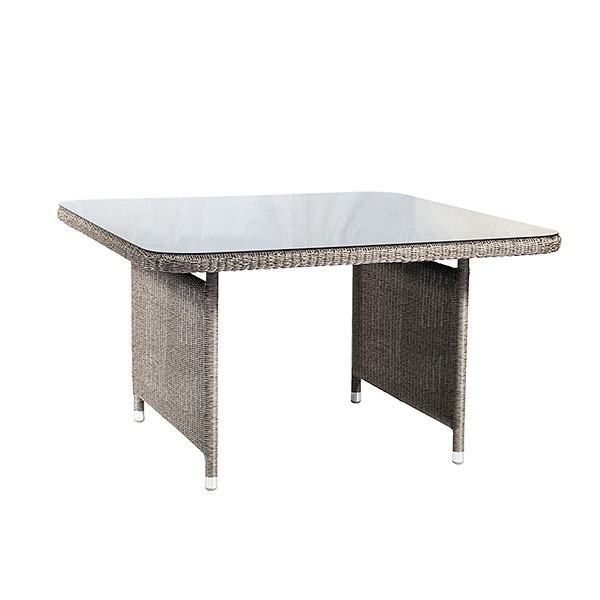 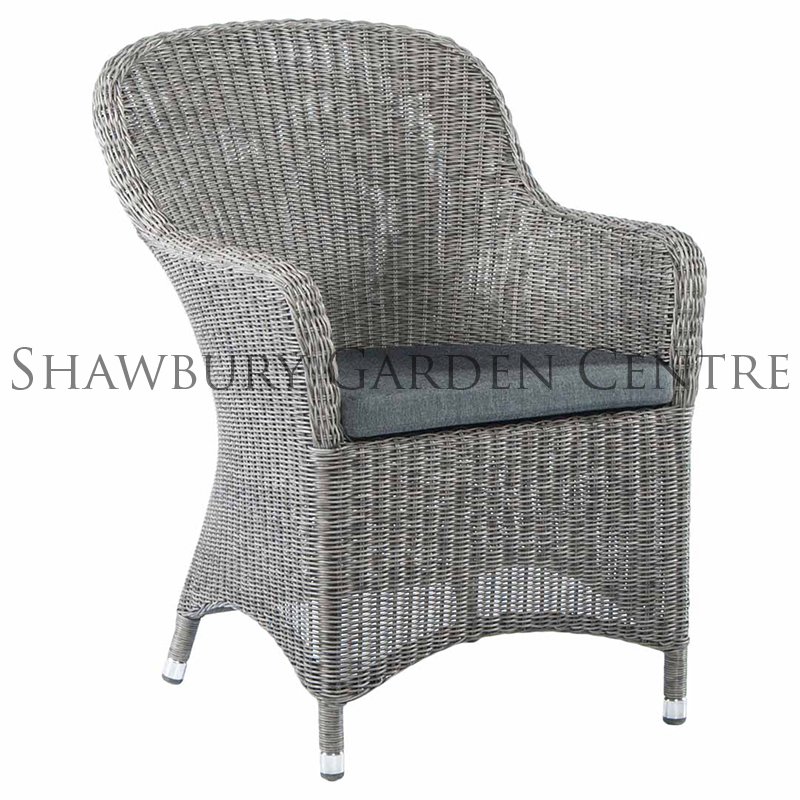 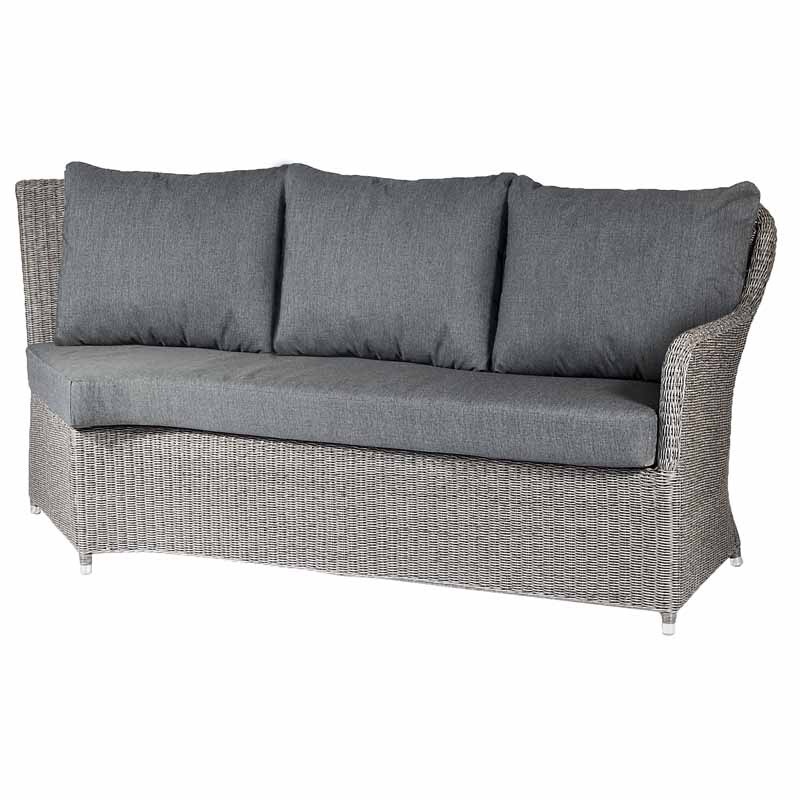 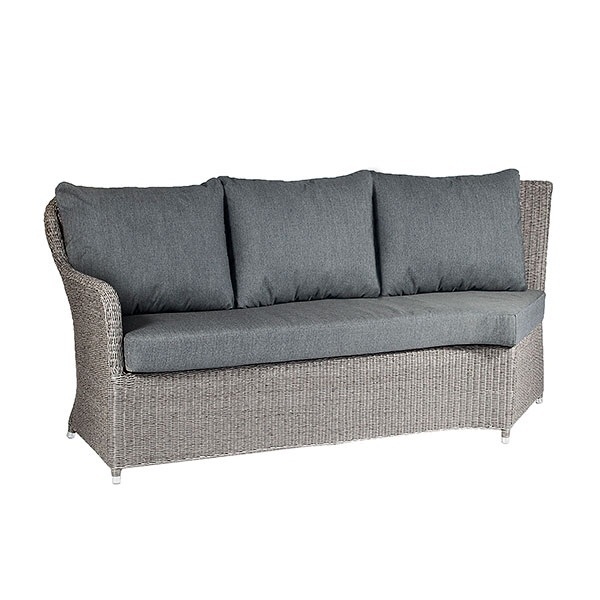 Suitable for use indoors or outdoors, this luxury 'rattan' sofa set has been designed to be used for relaxing and casual dining. 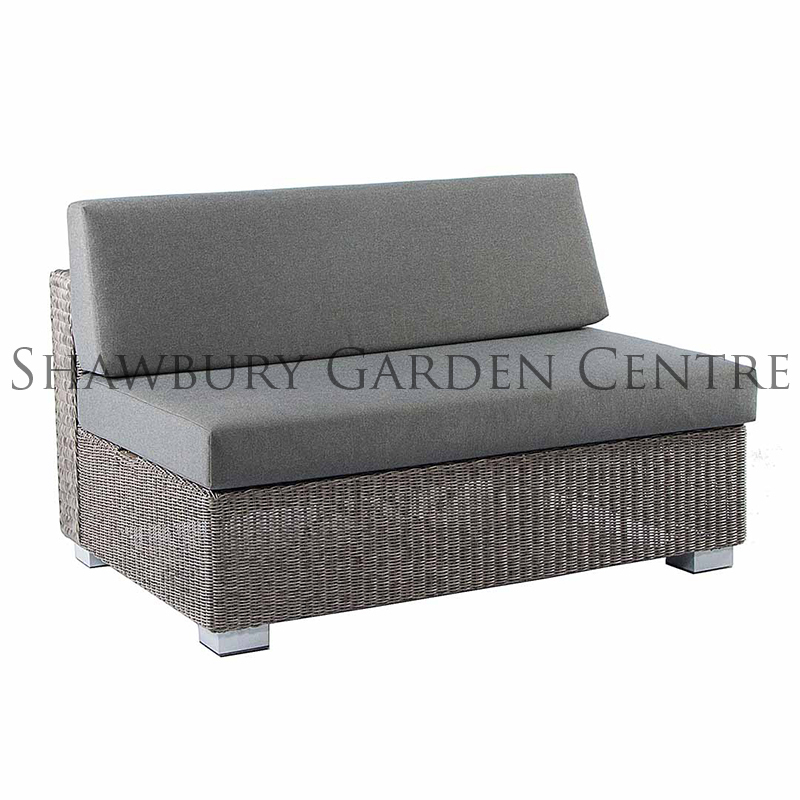 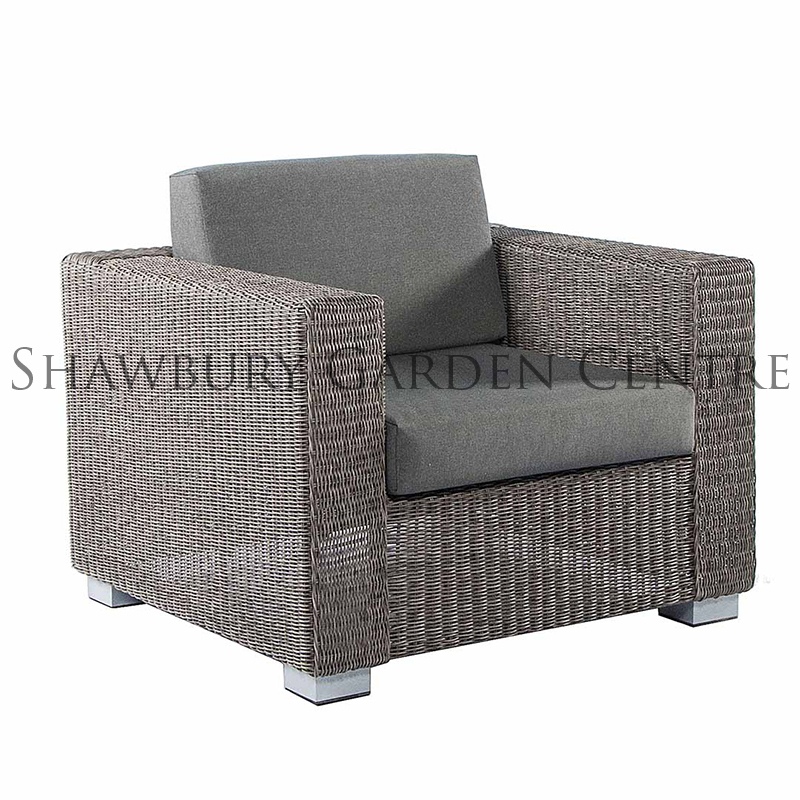 Unlike many other outdoor sofas, this particular design features a higher back, providing support and additional comfort. 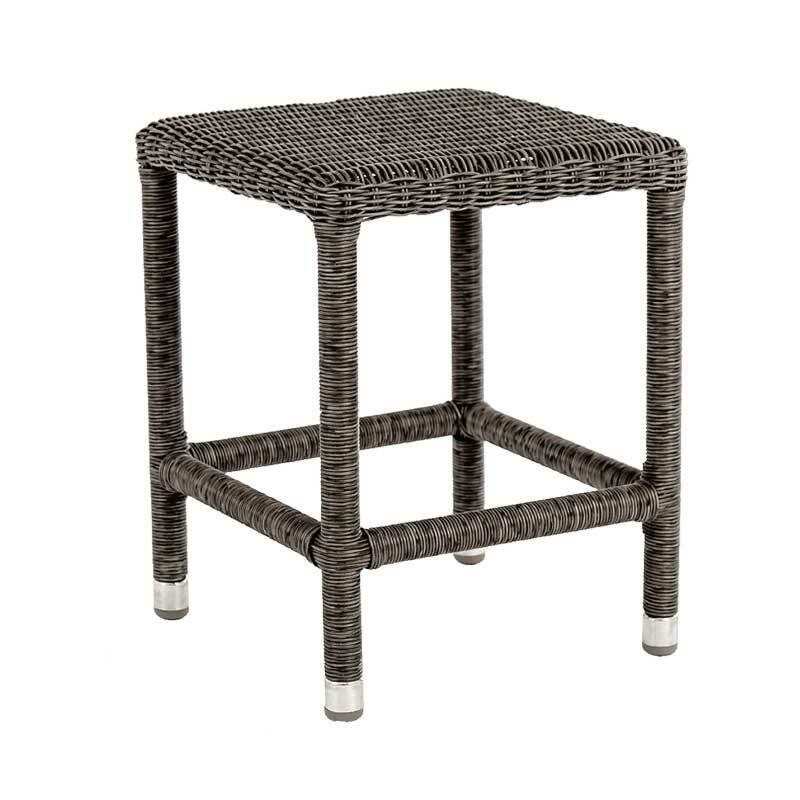 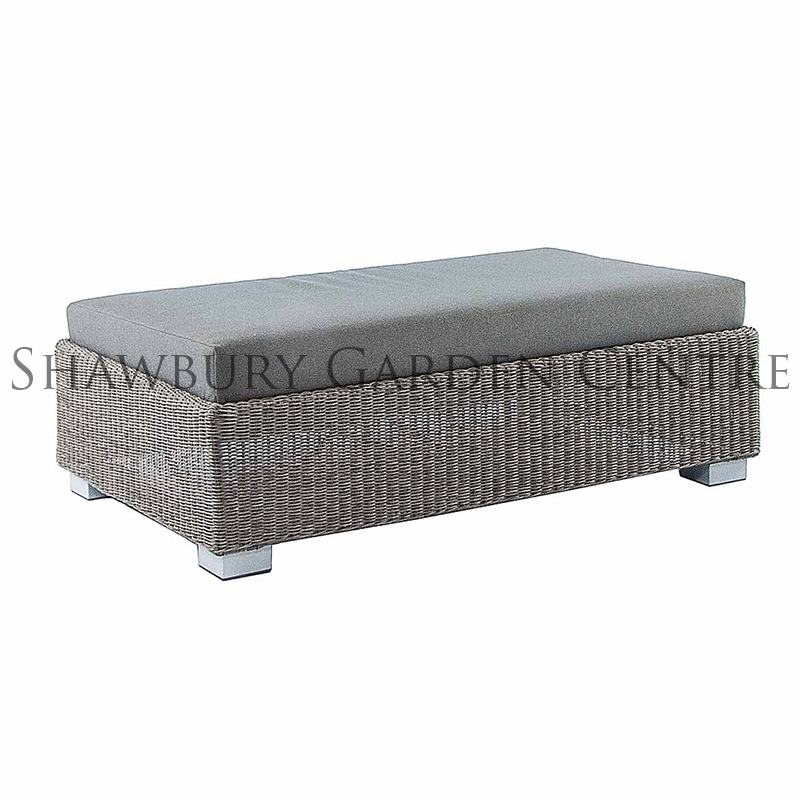 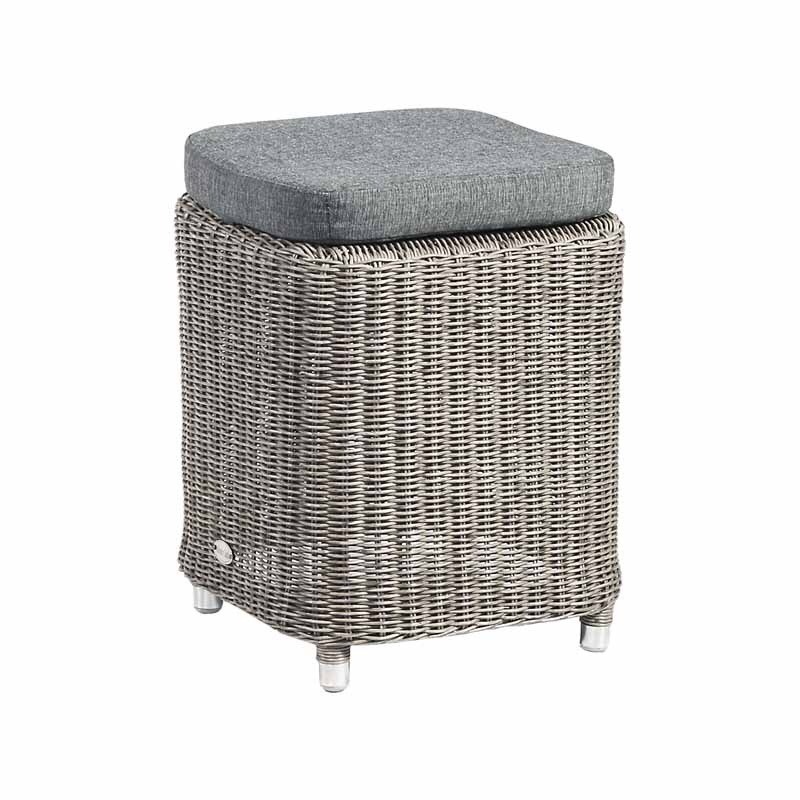 The stools can be used as additional seating or footrests.